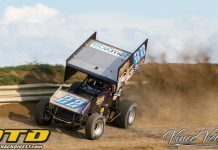 MIDDLETOWN, NY – The SuperGen Products with Champion Power Equipment CRSA Sprint Car Series made their third stop of the season at the legendary House of Power, the Orange County Fair Speedway in Middletown Saturday night. When all was said and done, and the final checkered flag in the air a fresh, new face stood tall in victory lane. 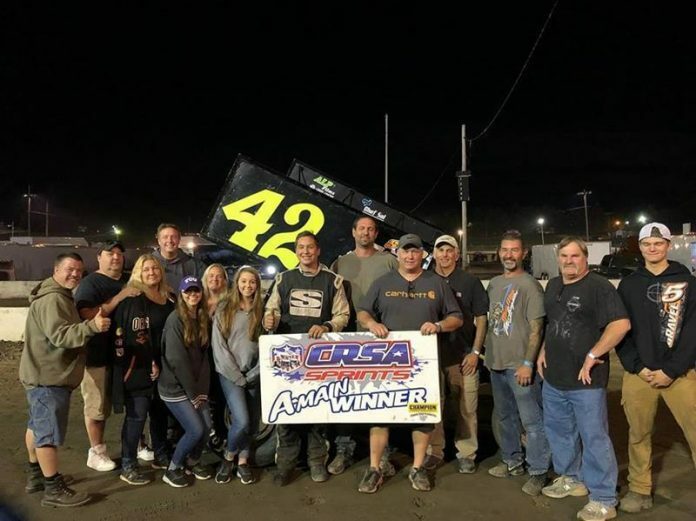 “The Mayor of Wing Nation,” Jesse Pruchnik made his shortest tow of the season the best one as the 14-year-old driver picked up his first career CRSA win. The soon to be tenth grader drew the pole and led the entire distance to pick up the very popular win. This was not only the Connecticut racers first CRSA A-Main win, it was also his first big car win. Fellow Nutmeg State driver Peter Dance ran second for most of the race before giving way to defending series champion and current overall points leader Jeff Trombley. Trombley would close on Pruchnik with a few laps remaining but it wasn’t enough as Pruchnik claimed the win over Trombley, Dance, New Jersey’s Scott Flammer and Middletown’s Tyler Jashembowski. Heat races were won by Pruchnik and Flammer. With his runner up finish, Trombley maintains the overall points lead with four events remaining. 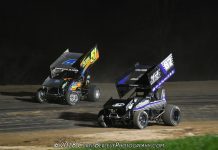 The SuperGen Products with Champion Power Equipment CRSA Sprint Car Series returns to action with the final two-day weekend on the schedule. The series heads to the Albany-Saratoga Speedway on Friday September 14th and then the Fonda Speedway on Saturday September 15th. 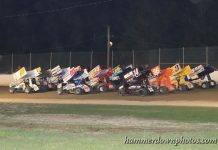 Please visit the SuperGen Products with Champion Power Equipment CRSA Sprint Car Series online at www.crsasprintcars.com, on Facebook (CRSA Sprints) and on Twitter (@CRSAsprints).